Treat your horse to this luxury shaped pad featuring Supafleece rolled edges and lining. The soft supafleece helps protect your horse against shock, sores and chaffing. Smart stye features and fabrics, secure with touch and close girth straps. Machine washable. Material: Outer: 80% Polyester, 20% Cotton. Lining: 100% Polyester Fleece. Material Outer: 80% Polyester, 20% Cotton. Lining: 100% Polyester Fleece. 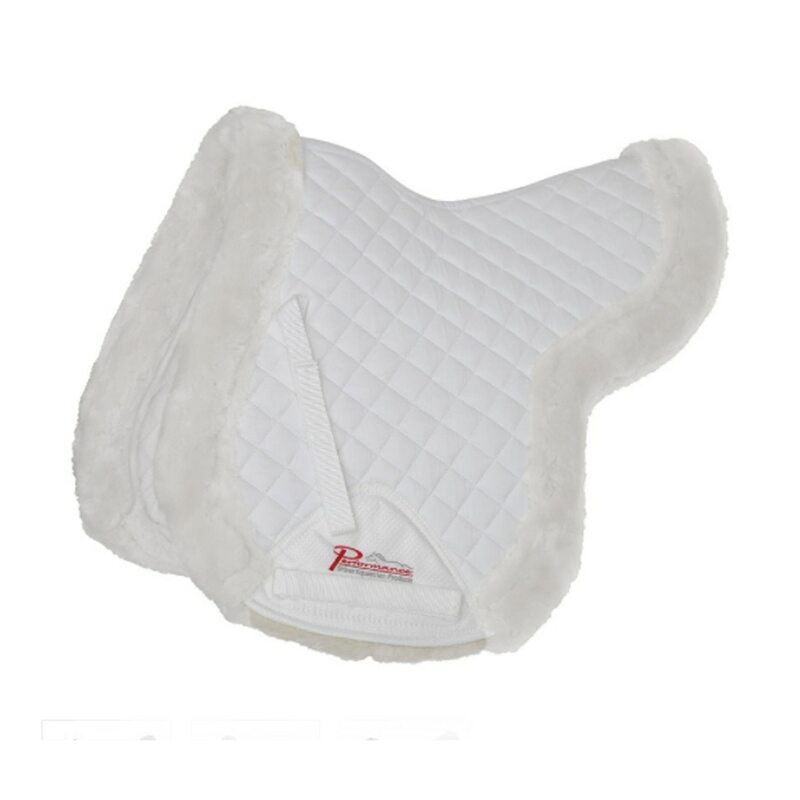 Shires Supa Fleece Fully Lined Shaped Pad is rated 5.0 out of 5 by 3. Rated 5 out of 5 by Dawn from the quality of the pad is the best feature. I am very impressed with this pad. It is the best pad I have seen on the market in many years. It is well made and very attractive. Stays in place and puts a smile on my horses face. Rated 5 out of 5 by Alyssa D from Great pad! I bought this pad because it was a much better price than Fleeceworks which I’ve used in the past and loved so I was hesitant to try a new one but I absolutely love this pad and would definitely get another. Super cushy and so soft and cleans up really well in the wash!!! Rated 5 out of 5 by Sarah100 from My favorite show pad! I love this pad! It’s looks lime it would cost $200 but to doesn’t!